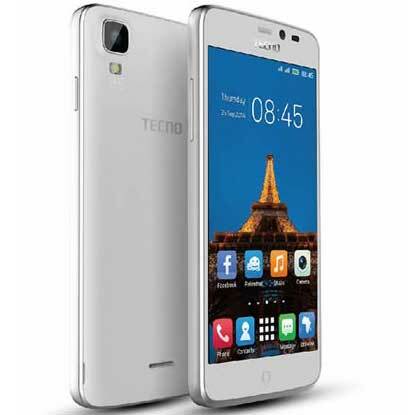 Introducing the Tecno H6 android smartphone, the newest product from Tecno-Mobile. It runs on Android 4.4 KitKat and has a very good camera for a phone below N20,000. Take a look at the table below to see the full features of this amazing smartphone. Screen Type IPS Multipoint Touchscreen with 16,000,000 colors. Screen Size 4.5″, 480×854 pixels resolution, 218 ppi (pixels per inch) density. Primary (Back) 8.0 Mega-pixels, Face aand smile detection, LED flash, 2448×3264 pixel picture quality. Secondary (Front) 2.0 Mega-pixels, 1600×1200 pixel picture quality. 9,688 KES in Kenyan Shillings. 294,970 UGX in Uganda Shillings. 1,190 ZAR in South Africa Rands.